The Stretching Station is essentially the foundation station of all the Functional Fitness Stations and is also the most versatile. Complete with pull-up handle bars, storage space for kettlebells, wall balls, dead balls, medicine balls and, hanging hooks for resistance bands. The Rebound Station is a great proprioceptive training system. This is an exceptional functional training system especially when being used in a rehabilitation sense. The Rebound Station is a popular piece that will be a fantastic selling point for your club. The Power Rack is an essential station to safely perform the primal movement of the squat and dead-lift. 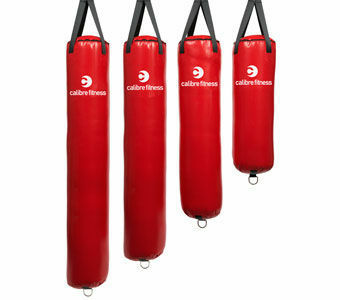 With heavy duty adjustable ‘J’ hooks and spotting arms the user can train to the limit safely. The Power Rack comes complete with storage arms to hold olympic sized weight plates in an easily accessible position. To further increase the versatility of the Power Rack it comes complete with pull-up handles. Attaches to the Stretch and Boxing Stations. Five different height settings. Perfect for box jumps, box squats, split lunges, Bulgarian squats plus many more! Attaches to the Stretch and Boxing Stations. Five different height settings. Perfect for dips, push ups, body weight rows, hanging knee raises plus many more! Gym Equipment Direct’s modular Functional Fitness Stations allow your members to train in a fun, interactive group training class. Choose from one of our six fitness zones or construct your own unique functional group training zone specific to your gym members’ needs and your available training space. The exercise possibilities are endless! The Functional Fitness Stations offer a great opportunity for clubs to generate additional revenue from their members. Glass-fiber-reinforced nylon pulleys with deep V-groove provide secure cable seating and fluid bearing rotation.